The latest episode of Néojaponisme Oh! Sake! — our videocast on Japanese alcoholic beverages. Watch it here in HD! 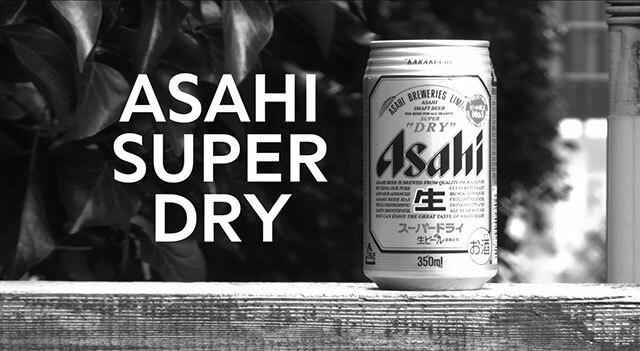 In this fifth episode, Marxy and writer/translator Matt Alt do a taste test of Japan’s most popular beer — Asahi Super Dry — and its new variations — Asahi Dry Black and Asahi Dry Zero. Also watch Videocast #1 on Japanese third-category beer, Videocast #2 on whiskey highballs in a can, Videocast #3 on “mocktails in a can,” and Videocast #4 on Japanese non-alcoholic beers. i guess they might not be terrible/heavily-marketed enough for oh!sake, but there’ve been some quite interesting small-brewery beers knocking about at the moment that you could always check out. even just the fancy supermarket fare like coedo/yona yona/ginga kogen (their wheat beer is genuinely super nice). i don’t think many of them diverge very far from standard fizzy/germanic models, except by adding fruit etc flavours, which always seems such a cop-out. The reason we haven’t reviewed Coedo, Yona Yona, and Ginga Kogen is that they’re good. aw, i dunno, coedo’s kinda dull.